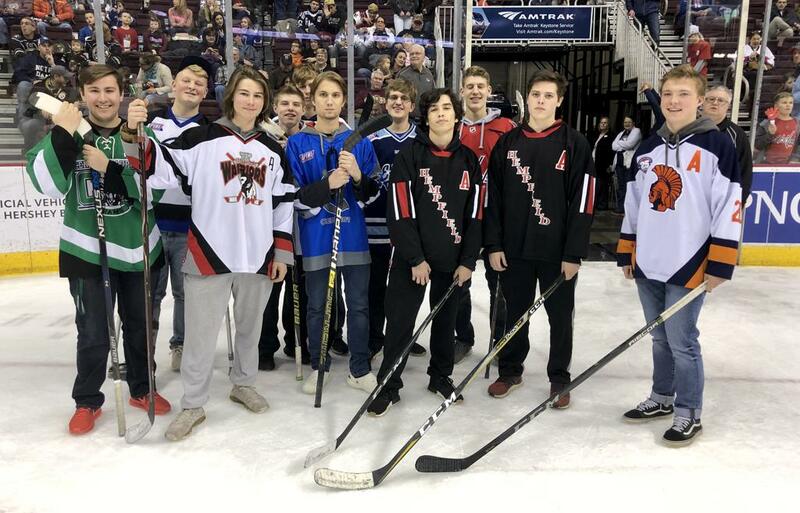 CPIHL players had a chance to compete in a "Velvet Touch" competition between periods. Joe Szymanski from E-Town was the winner! 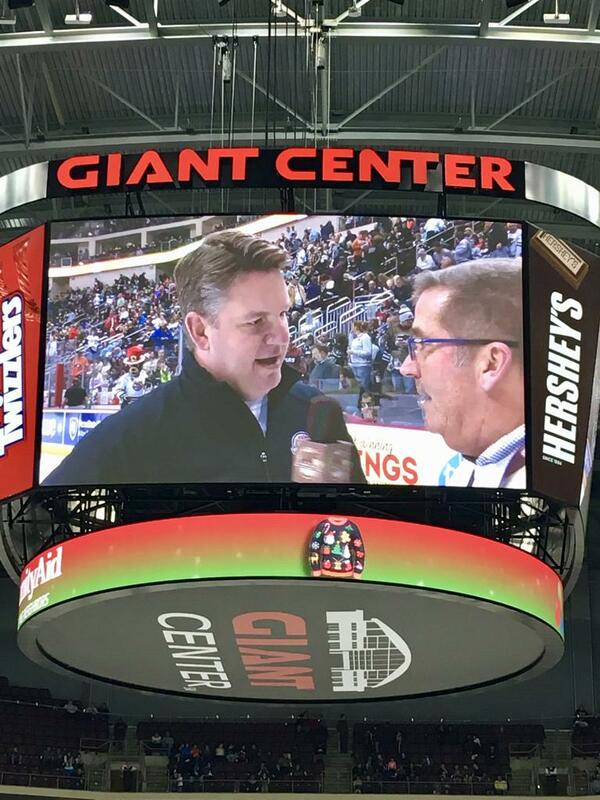 CPIHL President Steve Aaron promotes the league to Hershey Bears fans at Giant Center. Our players in the zamboni tunnel getting last-minute instructions before taking the ice. 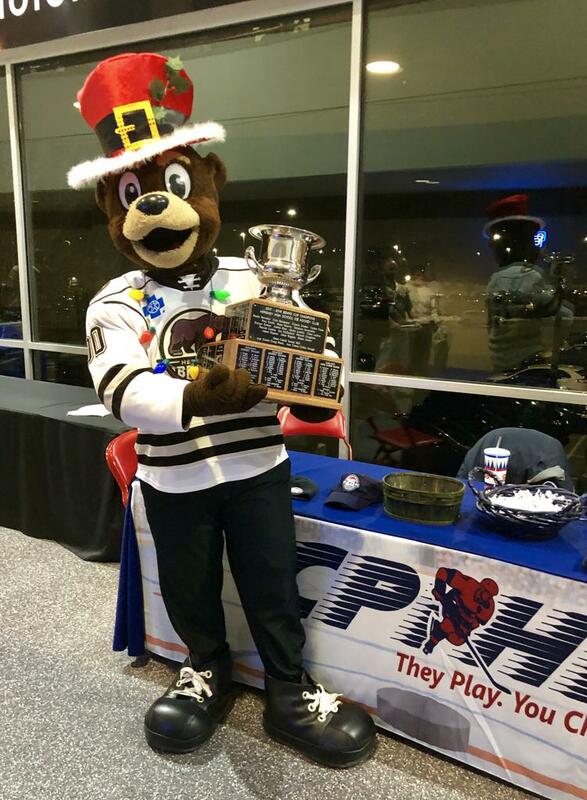 Coco holds the CPIHL Bears Cup! CPIHL Founders to the Ice! 1st CPIHL President Don Helms leads other league founders, coaches and players from our first season 25 years ago! 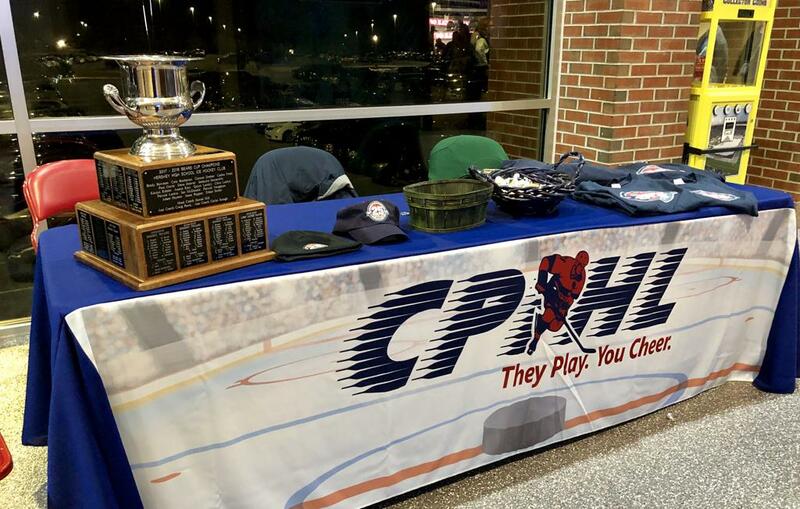 Outside Section 108, CPIHL staff raffled off hats, t-shirts and sweatshirts featuring our 25th Anniversary logo. 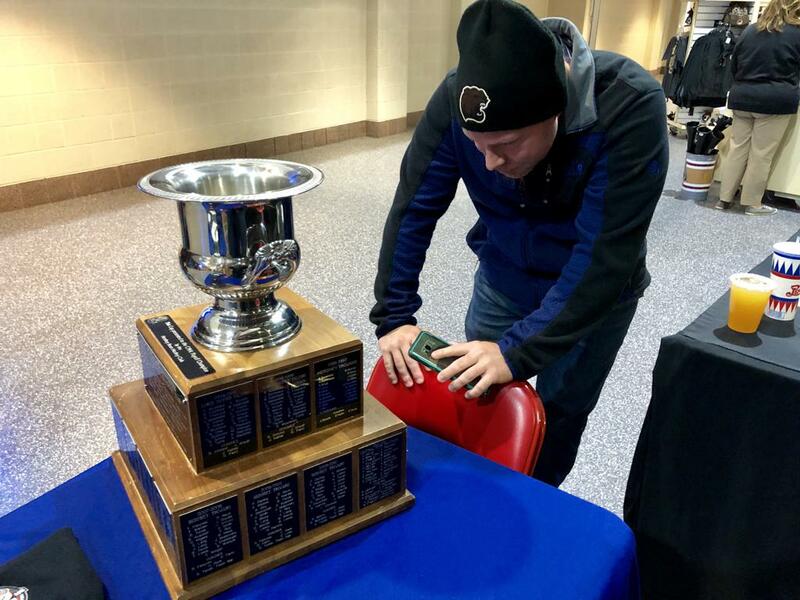 Matt Zemba checks out the Bears Cup. Matt was the goalie on the 1999 Central Dauphin East team that won the championship that season. 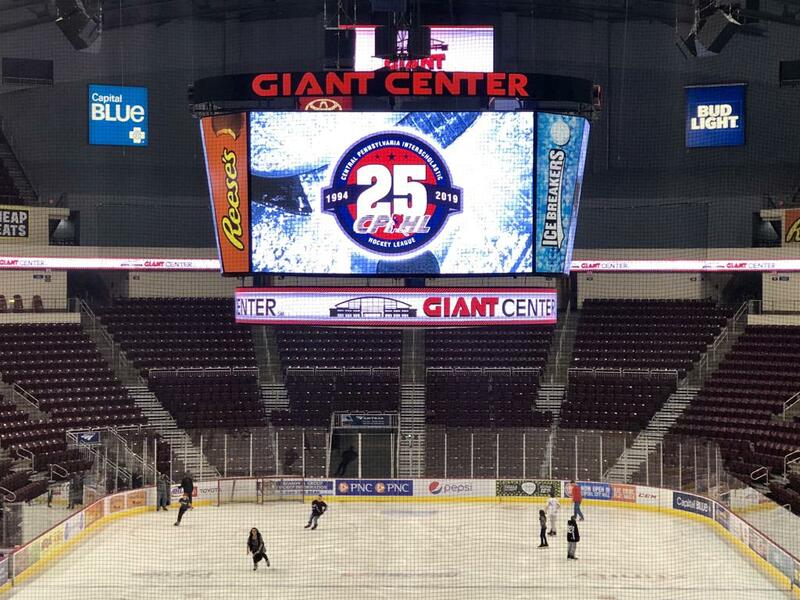 How cool to see our 25th logo on the Jumbotron as our families skated below. A number of our players were invited to hold the American flag during the National Anthem.